SUICA, Pasmo and ICOCA IC cards are 3 re-loadable prepaid cards conceived to let people use easily and smoothly any railway line (and more) in all Japan without having to buy tickets for each journey. There are many other prepaid cards with the same function, but usually foreigners make one of these three because you can get them easily at the international airports in Tokyo and Osaka. Furthermore, as explained below, to date there is no longer any difference among the main prepaid cards for public transport in Japan. They are all the same. 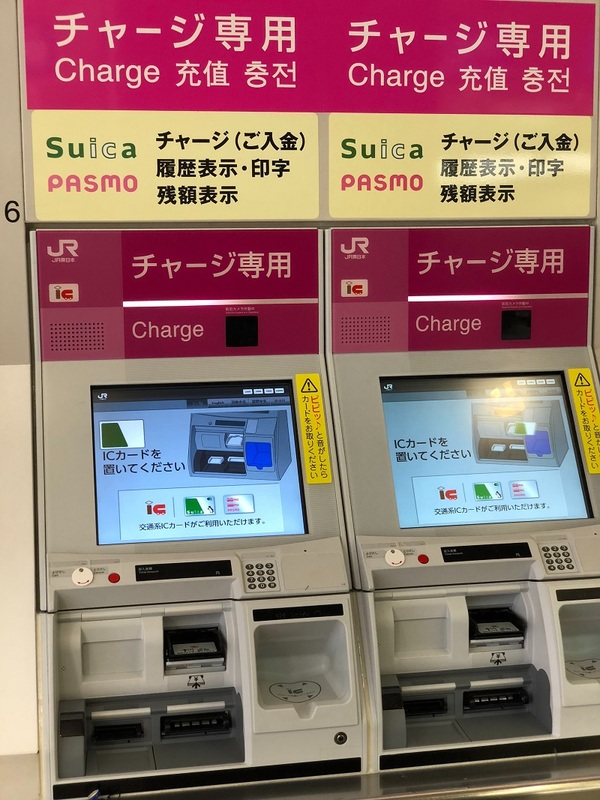 Which are the differences between SUICA, Pasmo, ICOCA? The situation has evolved a lot in recent years to the point that today there are basically no differences. Until a few years ago (until March 23, 2013): different regions had different prepaid local transportation cards, and the JR issued its card and the other railway companies released their own. 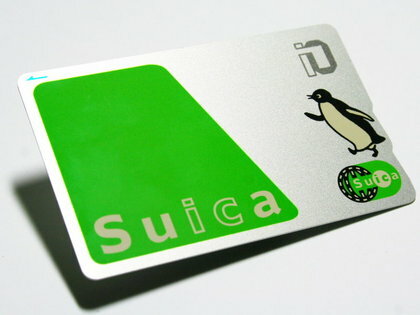 Therefore, in Tokyo you could use the SUICA card (released by JR) and the Pasmo card (released by Tokyo Metro and other private companies), in Kansai there was the ICOCA (by JR), in Nagoya the TOICA, in Sapporo the SAPICA, and several other cards scattered around Japan rarely used by tourists. In the past, these cards could be used without limits in any railway line within their reference area, but in other regions of the country there were several limitations. For example, the SUICA card could be used with any train in Greater Tokyo, but outside Tokyo it could be used only with the JR lines. The Pasmo card only worked within the Tokyo area. Today: the 10 most used cards in the country have become interchangeable and you can use them for any railway line and many other public transport services throughout Japan, there is no difference among the various regional prepaid IC cards. The only difference is in the card's name and in the area of Japan where you can find the machines to buy them and the offices to eventually return them. Then, for example, SUICA can only be bought at JR East stations in the Tokyo area (and Sendai/Niigata) and you can only return it to the JR offices in the same area, but you can use SUICA to take any train all over Japan. In the same way, you can get around Tokyo with another prepaid card issued in another region of Japan (ICOCA, TOICA, etc. ), it will work the same. There is only one limitation: you can use any card in any region of Japan but only for routes whose first and last station are located within the same region. Example: you can use SUICA (issued in Tokyo) for a railway line in Kansai or Hiroshima or anywhere else, but not for example to travel between Tokyo-Osaka or Tokyo-Nagoya, because these routes would include mixed routes partially operated by JR East (the company that releases the SUICA) in the section near Tokyo and partially operated by JR West in the section near Osaka or JR Central in the section near Nagoya. Which is the best prepaid IC card? As you can see a few paragraphs below, there are many different prepaid cards in Japan, but if you are a tourist you will probably arrive at one of the three main airports in the country: Tokyo Narita, Tokyo Haneda or Osaka Kansai and there you will buy your first prepaid IC card. For this reason the cards usually bought by foreigners after landing in Japan are those cards issued in Tokyo and Osaka, that is the SUICA or Pasmo (Tokyo), and the ICOCA (Osaka). As already repeated several times, nowadays owning one or the other is absolutely irrelevant. In any IC Cards vending machine that you can find at the main stations in the Tokyo and Osaka regions. In other cities you will find vending machines to get cards with different names (see below) but they all work the same way. For example, if you are in a JR station in Tokyo you will find a vending machine to get a SUICA, if you are in a metro station in Tokyo you will find a vending machine to get a Pasmo, if you are in a JR station in Osaka or Kyoto you will find a vending machine to get an ICOCA, if you are in a JR station in Nagoya you will find a vending machine to get a TOICA, and so on. English is usually available in most of vending machines and it is possible to change language by pressing a button saying "English". In addition, you can purchase SUICA and ICOCA cards at the JR ticket offices and at the JR East Travel Service Centers in Tokyo's main stations and airports. It is often possible to choose between two types of cards, the blank card and the named card, the latter requires the insertion of some personal data. The only difference is that the named cards allow you to get the money in the card back in case of loss, if that happens you need to go to the appropriate offices with an ID document. How much do the SUICA/Pasmo/ICOCA cards cost? As for the SUICA, you have to pay 2000 yen when you purchase the card for the first time, 1500 of which are immediately available and loaded in your card, and the remaining 500 yen are held back as "deposit", you will be refunded if you decide to return the card (to a JR office in the region where it was issued). The same applies to all other cards issued by JR in other areas of Japan (ICOCA, TOICA, KITACA, SUGOCA). The Pasmo card and other cards issued by private companies may have a flexible or different initial amount. After buying one of these cards, you can charge it wiht more money through automatic machines for IC Cards, by selecting the desired amount and inserting it. You can find this type of machines practically anywhere in any station. Place the card near the magnetic reader in each turnstile, but do not insert it into the slot for regular paper tickets. The card balance must be equal at least to the cheapest fare (if you have 100 yen in the card and the cheapest route of all costs 110 yen, you will not be able to go through the turnstiles). Once you have arrived at your destination, you must again swipe the card at the exit gates and at that time the amount for the route you have traveled will be deducted from the card balance. If you do not have enough credit don't worry, you will always find at least one fare adjustment machine to recharge your card near the exit turnstiles, or alternatively you can pay directly to the staff. You can check the card balance by inserting it into the automatic machines for purchase/recharge, or in a small display on the turnstiles every time you swipe the card. Going around Tokyo, you will often notice locals passing turnstiles at stations by swiping their mobile phone to the magnetic reader. In reality, most are not using the mobile phone (even if there is a virtual Suica), but simply put their card inside the smartphone case on the back. It is an easy technique to always have the card on hand and be sure not to lose it. First time in Japan: are you afraid to get confused when buying a Suica?? If you are about to visit Japan for the first time in life, it is understandable that you have a thousand doubts and fears. The first impact with a country as different as Japan is not easy and takes a little time to adapt and understand in person how best to use public transport. If you want to avoid those minutes of panic and stress, maybe after 10 hours of flight, trying to figure out what and where the right vending machine is, if you are doing the right thing, and so on, you can take advantage of a service offered by Govoyagin to to buy your SUICA card online. Buy a SUICA card online Once completed the purchase on the site, you will receive a QR code to show at one of the available collection points to receive your SUICA immediately. The 10 cards below are completely equivalent to each other in their use. The JR EAST card, available at all JR stations in the Tokyo metropolitan area and in the Sendai and Niigata regions, including the international airports of Tokyo Narita and Tokyo Haneda. The JR West card, available at all JR stations in Kansai and Chugoku regions (Osaka, Kobe, Kyoto, Hiroshima), including the international airport of Osaka Kansai. Purchasable in non-JR stations of the Kansai region. The Pitapa is not a prepaid card but works differently, which is why foreign tourists usually don't buy it. The JR Central card, available at all JR stations in the Tokai region (Nagoya), including the international airport of Nagoya Chubu Centrair. Purchasable in non-JR and non-Kintetsu stations of the Nagoya metropolitan area. The JR Hokkaido card can be purchased at all stations in the Sapporo metropolitan area. The JR Kyushu card can be purchased at all JR prefectures in Fukuoka, Kumamoto, Kagoshima, Oita and Nagasaki. Available at all Nishitetsu stations in the Fukuoka metropolitan area and other locations in the Kyushu region. Available at all Fukuoka subway stations. This card is valid for part of public transport on the main island of the Okinawa archipelago and in the city of Naha. In particular, the Yui Rail and some bus lines. The cards listed above do not work in Okinawa. Other uses of prepaid cards SUICA, Pasmo, ICOCA, etc. Lately the use of these cards has also been extended to other things, they can be used as real prepaid cards to pay in some convenience stores (konbini) and other affiliated shops, vending machines, coin lockers, taxis, toll parkings. If this is possible you will find the logo of the card printed somewhere. The generic logo that you see here is increasingly common, to indicate compatibility with any of the 10 interchangeable cards throughout Japan. Which lines can I use with SUICA, Pasmo, ICOCA cards? Prepaid IC cards can now be used for all JR lines in Japan, for the subway in Tokyo, Osaka, Nagoya, Fukuoka, Sendai, Yokohama, etc., and for all private railway lines around Japan. If you are just a tourist in Japan you can rest assured that you will be able to use your prepaid card in any railway line you will have to take. The card also works with all the Tokyo and Kyoto city bus lines, for JR long distance buses, and for many other urban transport systems other than trains and subways, in different minor cities of Japan (such as the tram in Hiroshima). Where can I NOT use SUICA, Pasmo, ICOCA cards? There are still very few areas in the country where prepaid cards have not been integrated. The only worthy of note is maybe Okinawa, where you can use the public transport services only if you have a local prepaid card called Okica. It is likely that in the coming years there will be a 100% integration. In general, you can never use a prepaid card on all those trains where there is an extra charge in addition to the basic fare. Some examples are the Green Cars (First Class) available on some local railway lines, those trains with reserved seats such as the limited expresstrains or express services for airports (Keisei Skyliner, Narita Express, etc. ), the shinkansen (although recently it is possible to use the suica also for some shinkansen). Finally, some remote prefectures of Japan and in particular some small stations in the countryside may not yet use IC Cards but only paper tickets (for example, the railway lines in the prefecture of Akita). Is it possible to get reimbursement of the money loaded on my SUICA, Pasmo, ICOCA? To get back the money you have loaded on your card you must necessarily return the card. When you return the card in one of the appropriate offices, you will get the 500 yen of deposit paid at the time of purchase plus any remaining balance. In the case of Suica/Icoca and other JR cards, the reimbursement of any money left in the card involves the payment of a 220 yen commission. So, if you have 1000 yen left on your SUICA, you will get 500 yen (deposit refund) + 1000 yen (the money left) - 220 yen (commission) = 1280 yen. If the card has less than 220 yen, you can only get back 500 yen of deposit. In the case of the Pasmo card there is no commission, and you will have back the entire deposit money and the remaining money in the card. I have a Suica and I want to spend all the money left before leaving Japan, how can I do it? The easiest way to spend all the money in your SUICA, Pasmo or ICOCA card is to buy something in one of the many convenience stores (konbini) that accept this payment method. Some of them will allow you to use all the remaining balance in the card and if necessary add something in cash to pay what you are buying. Do I save money by using these prepaid cards? Prepaid IC cards are not designed to save money, but only to save time. Nevertheless, in April 2014 the government increased the consumption tax from 5% to 8%, and as a result all prices, including transport, increased by 3%. After this price increase, ticket prices have been rounded to the nearest 5 or 10 yen for single tickets, while prepaid cards still round fares up to one yen. Thus, for example, a route that costs 200 yen, from April 2014 has undergone a 3% increase. 200 + 3% = 206 yen. If you pay using the prepaid card you will pay that route 206 yen, but by purchasing the single ticket you will pay 210 yen. With the prepaid cards you can therefore have a saving ranging from 1 up to 9 yen, depending on the area and the route. 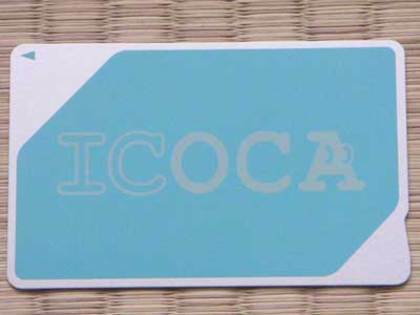 Do prepaid cards SUICA, Pasmo, ICOCA have an expiration date? No, they haven't, but cards stop working automatically if they are not used for 10 years.